Chairman of the department of Otorhinolaryngology/Head&Neck Surgery at Klinikum Stuttgart/Germany since 2008. President of the European Laryngological Society for the term 2018-2020. 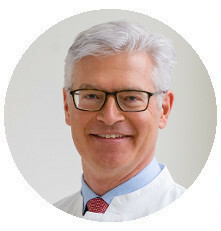 Member of the European Society of Pediatric Otorhinolaryngology, member of several national and international scientific societies and reviewer for numerous journals. He is covering the whole spectrum of Laryngology with a dedicated focus on pediatric and adult airway surgery.